For many frequent travelers, the Southwest Airlines Companion Pass is the holy grail. It allows you to choose a person to fly with you anywhere, for free. You read that right: your partner, sibling, friend, or family member can tag along everywhere you fly, gratis. Earning the Companion Pass is a real challenge, however. You’ll have to either earn 110,000 qualifying miles or fly 100 qualifying one-way flights, all with Southwest and all in a single calendar year. The Companion Pass is then good for the remainder of that year as well as the following calendar year. In theory, when timed properly, this could give you a full two years of free flights for another fellow flier. If you’re interested in how to obtain a Companion Pass, read on. Plan carefully, however, as you’ll want to time things to start as early as possible in the new year. It’s much less valuable to earn one over the next couple of months (and only get to enjoy it through the remainder of 2016)! Accruing 110,000 miles (also known as “points,” in some parlances) or 100 one-way flights in a single year seems impossible to all but the most frequent of travelers. Those are quantities that only seem accessible to those who fly very often (for work, perhaps), and have some control over the airlines with whom they fly. Let’s focus here on the miles. The easiest way to earn Southwest miles is through credit card bonuses. Chase offers three different Southwest credit cards: the Premier, the Plus, and the Premier Business. Currently, the Premier and Plus cards offer a bonus of 40,000 miles with a $1,000 minimum spend, but referral links on the Internet can get you the larger 50,000 mile bonus. The Premier Business also carries a 50,000 mile bonus. You can find local advertising in airports for these credit cards with the 50,000 mile bonus. If you’re applying for these cards, it’s important to understand that they all fall under Chase’s 5/24 rule. 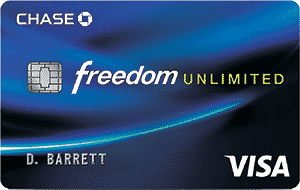 This means that if you’ve applied for 5 or more lines of credit (all types of credit, not just with Chase) in the past 24 months, you’ll be denied for any of these cards. If you’re just getting started with travel rewards, I would strongly recommend you instead prioritize the Chase Sapphire Preferred and Chase Sapphire Reserve before looking into the Chase Southwest cards. 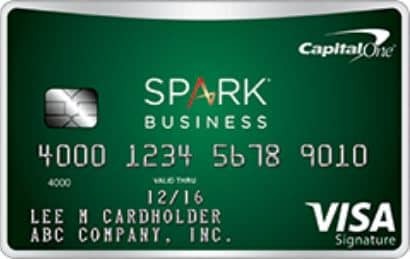 The Companion Pass is an amazing deal, but the flexibility and large signup bonuses with the Sapphire cards are significantly more valuable to most travelers. 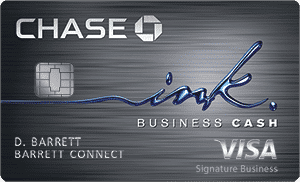 Learn All About the Chase Sapphire Preferred card here. By applying for and earning the bonus on the Southwest Premier and Plus cards, you’ll have spent $168 in fees and $4,000 in meeting the minimum spends. But, you will have earned at least 104,000 Southwest qualifying miles. You’ll need to earn the next 6,000 miles by making purchases on the cards, taking flights or renting cars, or by transferring from hotel programs. Hyatt hotel points are a popular option for this, but it transfers at a 2.5:1 ratio. So, you’d need 15,000 Hyatt points to convert to 6,000 Southwest Rapid Rewards miles. Another popular option is using Marriott’s Flight + Hotel booking awards. If you’re points-rich with Marriott, you may be able to earn significant amounts of Rapid Rewards miles. Finally, keep in mind that the 110,000 miles you earn for the Companion Pass don’t go away — that is, you’re not losing your 110,000 miles by getting the Companion Pass. You can use all of those miles to book flights and then tack on free second flights! Traveling with your Companion Pass is fairly straightforward. The pass has no blackout dates or seat restrictions, so you can book flight any time, in any class, and earn a free second seat for your companion. To book your companion’s flight, first purchase and book your flight using cash or miles through Southwest, just as you would normally. Then, book a second flight for your companion, again through Southwest, but this time by selecting the “Rapid Rewards Companion Pass” booking option. You can do this easily online, or by calling in to Southwest’s toll-free reservations number. Both your ticket and your companion’s must be on the same flight on the same date and time. If you end up cancelling your flight, your companion’s flight will also be cancelled. If you’d like to change your flight, you’ll also have to change your second ticket. You also have to show up and check in for the flight together, so make sure to bring the physical Companion Pass and, of course, valid forms of identification. If you have a Southwest Companion Pass, you should know that you can actually change your designated companion, up to three times each calendar year! Since there’s a limit on the number of times you can change it, it might be good to structure these changes around beginning- or end-of-year vacations. So, for example: start the year off by taking a trip with a sibling or relative somewhere. Then swap your companion to your partner, and enjoy free flights throughout the year. Finally, towards the end of the year, change your companion to another relative or friend, and take another trip. Keep in mind that changing your designated companion can take up to 21 business days on the Southwest side — so plan carefully! Unfortunately, due to Chase’s 5/24 restrictions, the Southwest Companion Pass is going to be difficult to earn for veteran travel reward earners. People who are new to the scene should strongly consider it as a second priority, after the Chase Sapphire Reserve and Preferred credit cards. When timed correctly, though, the Companion Pass can save you thousands of dollars over the course of two years!